So, you finally decided to attempt CEED and want to be like one of the prestigious designers around. Good and all the best with your efforts. There is no age limit for writing CEED, however only candidates who either have completed or is expecting to compete by July 2014 in ANY ONE or MORE of the following degrees may apply. Request for change in examination city will be accepted till October 30, 2014 with a fee of Rs. 500/- to be paid in the form of demand draft in favor of 'Registrar, IIT Bombay', payable at Mumbai. 2. Keep JPEG format of your latest photo (not more than 3 months) taken in white backdrop with your face covering 50% of the photography, looking straight towards the camera. Rs. 1000 for SC/ST category, physically disabled (PD), and all women candidates. Those who claim PD category should produce a Medical Certificate issued by the appropriate authority. Go to the link and enter your details, Email ID and personal no. Upload all the required documents as asked during the process, then after submitting the details, you will get a confirmation page. Keep a copy of this for your future reference. The last thing you need to do is to prepare for CEED. I had covered almost all the preparation requirements - bringing the necessary resources and tips wherever necessary in this blog. 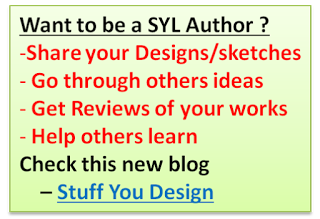 Explore the blog for more details. Here is a quick video tutorial on "How to start and what to practice for CEED exam"
Thanx Bhanu for everything. It was my first attempt of CEED and it was very good experience. Ur blog was the only resource I had. Though I didn't practiced a lot it was quiet easy for me to solve the question. I hope U will help us throughout the process. Thanks again. this is for 2015, cheeck the latest ceed requirements on 2018 brochure. But, the answer to you is NO. I mean even if you enter laterally, you still get the yr degree of Bachelors, so u shld be eligible. Anyway, write to ceed people.